In my role at Bluefrog I have designed a variety of mobile apps and responsive web products for a diverse range of clients. 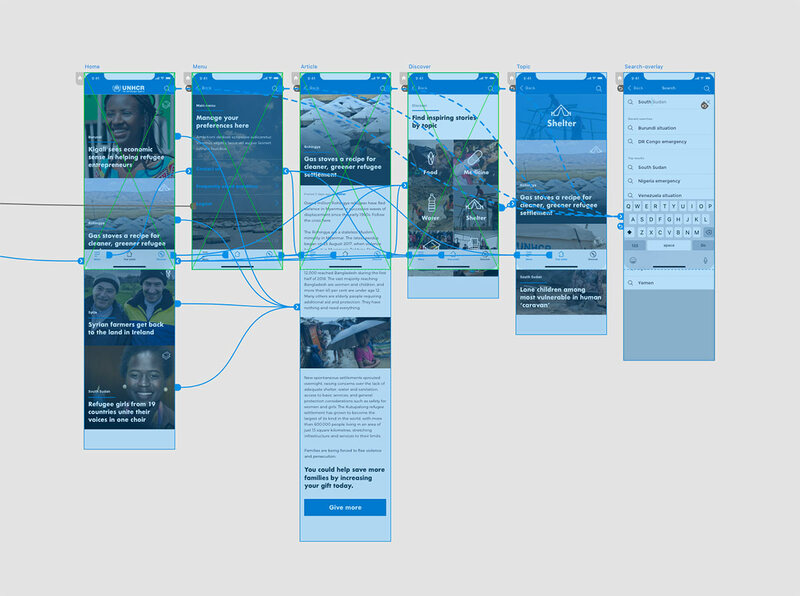 Below is a prototype I created for the UN Refugee Agency (UNHCR). It's an app that allows the organisation to quickly (and economically) send posts and stories 'from the field' to their donors, so they can see the impact of their support first hand from beneficiaries. To increase engagement and provide an experience users are more likely to return to, I made sure we included animations and micro-interactions to the interface. 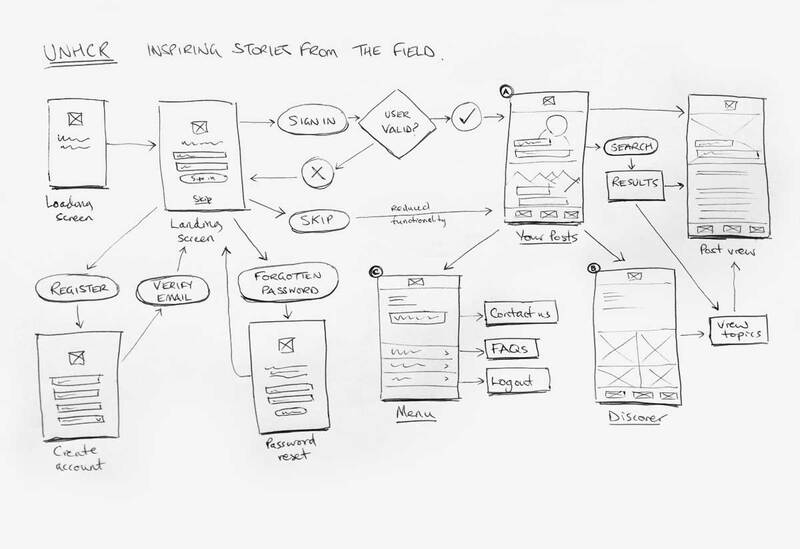 Using a combination of Sketch, Adobe XD and Quicktime, I was able to design, prototype and record the user flow and each interaction. 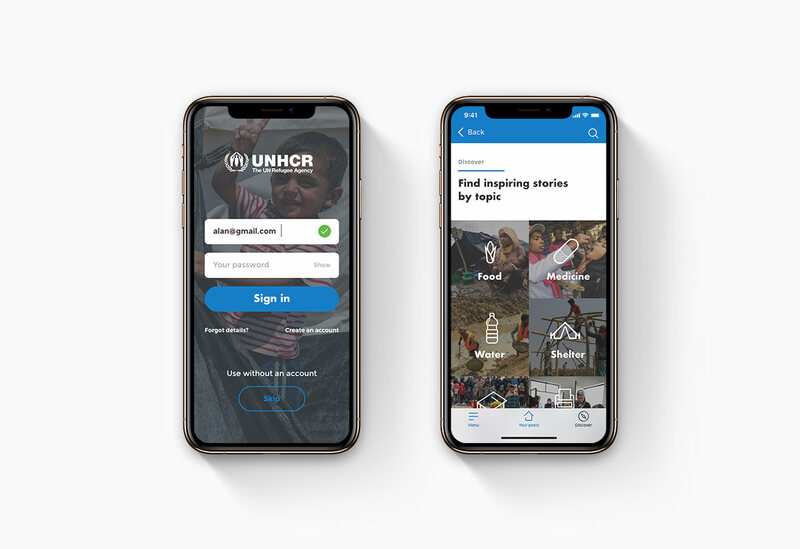 UNHCR have fantastic photographic and brand resources, and the in-depth content they receive from support workers in the field really brings the app experience to life.